Commemorate a loved one for their service. Military, First Responders, Pioneer Families everyone is welcome. 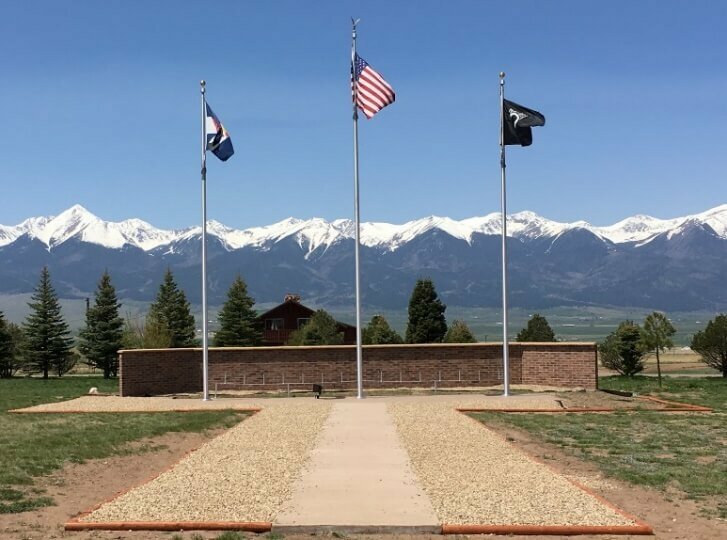 Add to the already great start to a Commemorative area that has the Sangre de Cristo Mountains as a back drop that proudly flies the American, POW and State Flags. Help continue to build this great addition to our community with landscaping, bench seating and other improvements. Remember to contact the Town of Silver Cliff to purchase a plaque or bench. Thank you in advance for your donation.